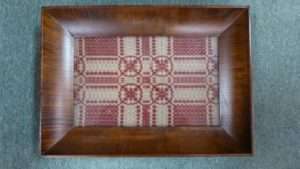 Stickley Chair/Ottoman Set – Slave Made Cross Stitch and More!! From the Treasure Room, A Black Walnut Chest of Drawers, w Bone Inlay – $9995.00. 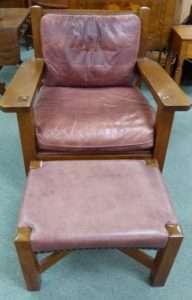 Stickley Leather/Oak Arm Chair w Ottoman – $1450.00, Booth 41. 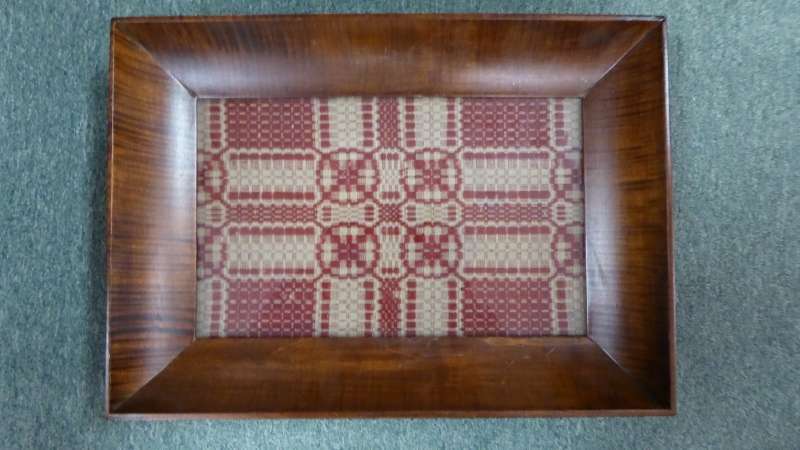 Slave Made Cross Stitch, Booth 41 – $150.00. 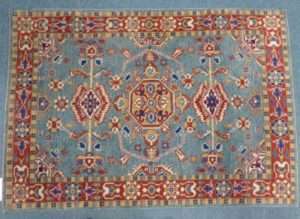 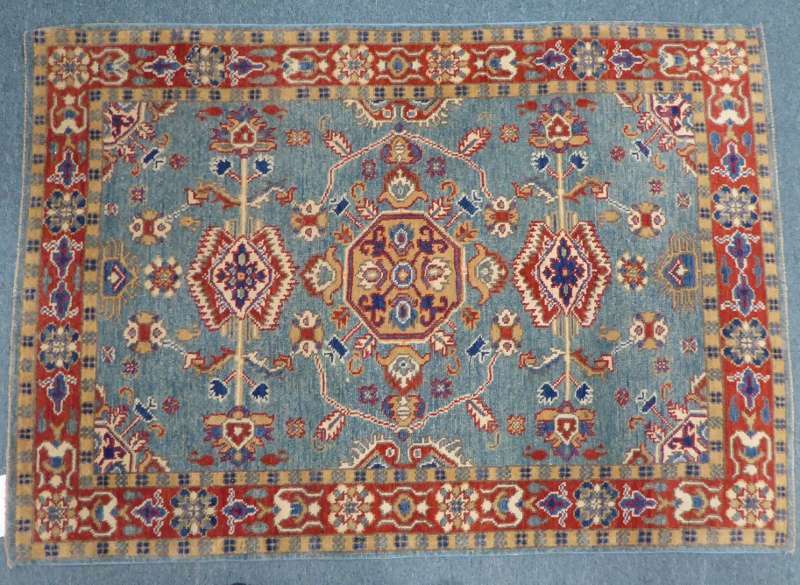 Fabulous Kazak Rug, Booth 88 – $395.00. Handpainted Satinwood Table from Booth 88 – $725.00. 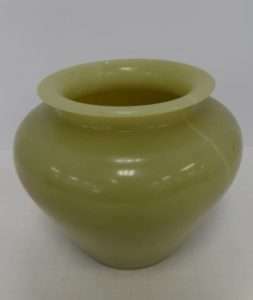 Jade Vase – Booth 77, $95.00. 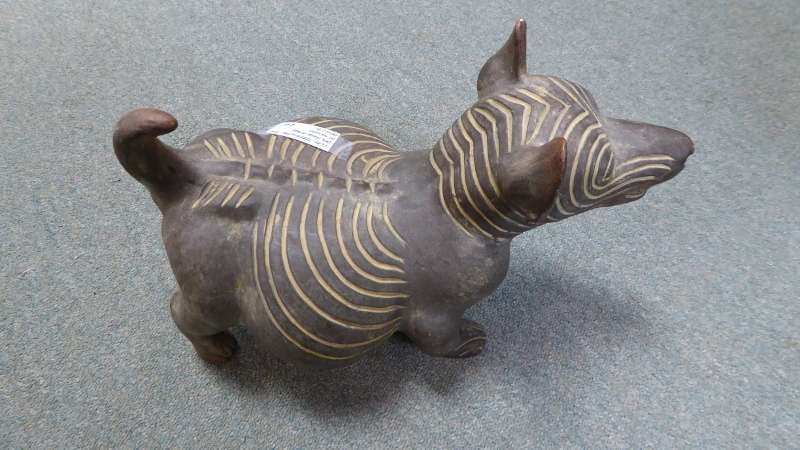 Terracotta Dog from Mexico – Booth 314 – $45.00. 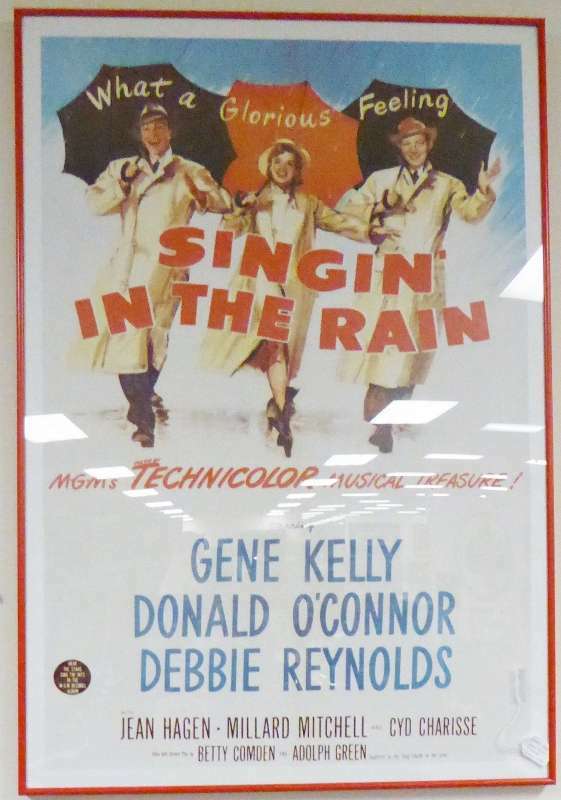 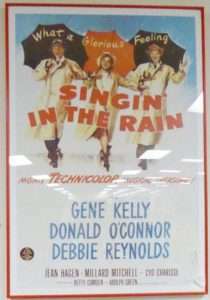 Framed Movie Poster ‘Singing in the Rain’ Booth 314, $78.00. 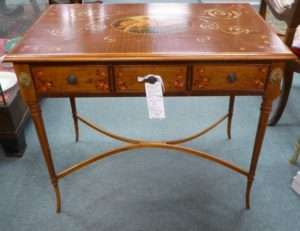 Seth Thomas Regulator Clock, $345.00, Booth 33ha. 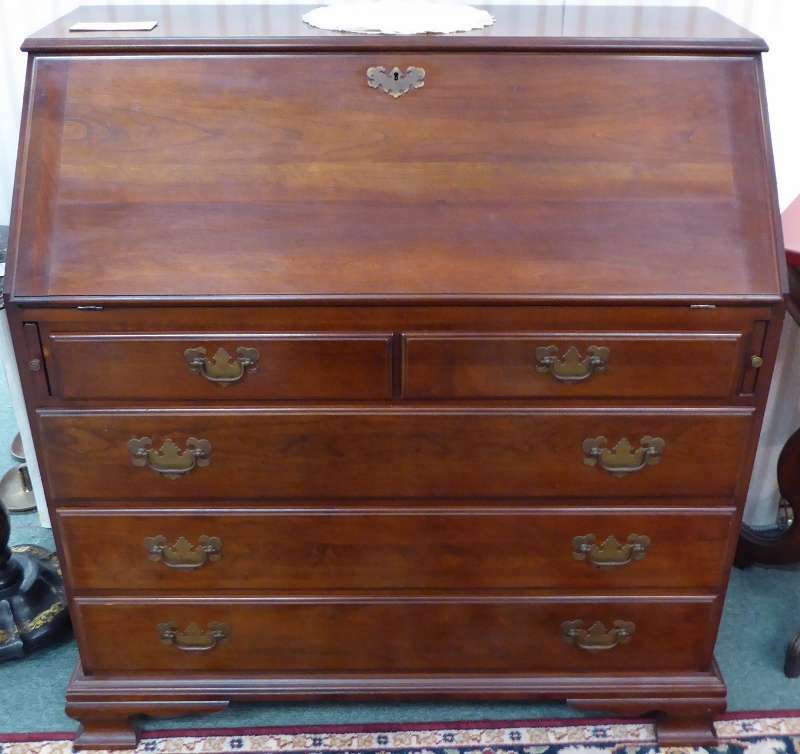 Slant Front Desk – Booth 33ha, $745.00. 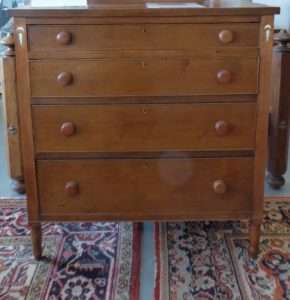 ‹ A Sugar Box from The Treasure Room, A Tiny Shaker and an Original Oil!